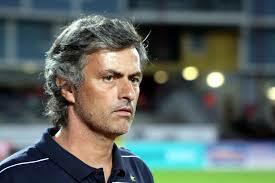 Jose Mourinho is ready to move with his family from London, if he does get a job at Manchester United. The People reported that the coach figure of the Portuguese began to conduct a survey of some residential located in Alderley Edge and Cheshire. The location of the latter is a favorite place that is home to many Manchester United stars now. Mourinho is believed to own a dream home in the two regions, as a form of preparation if later the club and he had reached a formal agreement to replace Louis van Gaal at the end of the season. Mourinho still unemployed after being fired Chelsea in December and he was still living in London. The news circulating recently said the Red Devils are ready to give Mourinho's three-year contract and expenditure of about 300 million pounds when he officially joined United in the summer.